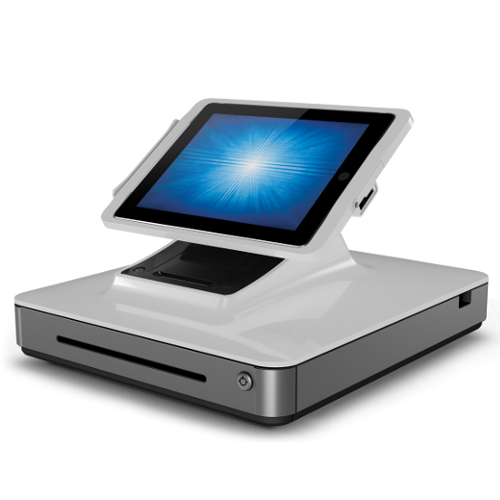 The Elo PayPoint designed for the Apple iPad combines a barcode scanner, cash drawer, credit card reader, customer facing display, and receipt printer all for use with your current Apple iOS point-of-sale (POS) software. With a flip-for-signature docking tray on the Apple iPad, shoppers will be encouraged to engage and can even opt for an electronic receipt delivery. An additional serial port supports retail peripheral expansions. Forget the messy cables; your iPad will be charged when docked. Elo PayPoint gives you the power to control and manage your PayPoint system remotely with EloView. Launch your point of sale application, load content, and update the operating system fast and conveniently with this scalable and secure device management system. Easily add mPOS functionality for your business needs when deploying your own application. The Elo PayPoint includes bluetooth connectivity and expansion ports. Quickly link additional optional peripherals such as weight scales and handheld scanners. Whether you are processing traditional payments or contactless payments, the built-in MSR and the optional NFC reader has you covered. Get full EMV support by pairing with your preferred EMV reader over USB or Bluetooth to supply your customers with a highly secure, full-function and mobile POS EMV experience. Counter space can be an all too valuable commodity for retailers and operators. With the goal of keeping counters both looking inviting and being functional, a small footprint and attractive design are important. Look no further than the PayPoint. This sleekly designed POS turns your cash wrap into a stunningly tasteful and efficient area that allows you to best serve your customers. The PayPoint point of sale system is quick and simple to set up with its single cable design. Just plug in and go. 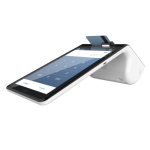 This all-in-one mPOS solution brings simplicity and grace to the point of sale. 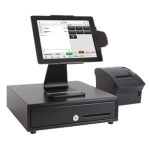 With peripherals built in, the PayPoint is a modern and sleek platform built to last, hardened for the retail environment and comes with a three-year warranty.